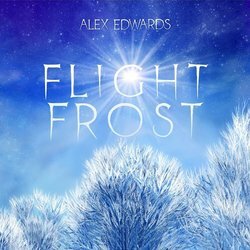 Alex Edwards is an Australian singer-songwriter from Brisbane in the acoustic genre who in 2014 performed at the Hifi, The Beetle Bar, 4zzz and in countless other venues. (He also supported national touring Australian band Cause In Affect and international touring Austrian band Mother's Cake.) 2015 sees the release of his debut record Flight Frost and subsequent film clip releases. Having earned attention from fellow Brisbane musicians for his songwriting, including the release of his album's first single, "My Baby Don't Know", he is looking forward to releasing his debut album "Flight Frost" later in the year. Triumphant, edgy, ipod-running-music rhythms melding worldly lyrics of mystique to warm, whispery and swift melodies. who tills the mir? who owns the land?